THE former Bishop of Killaloe, Willie Walsh, has criticised Travellers who are allegedly engaging in “intimidation” to recoup money that has been given to members of their own community as part of unregulated money-lending. 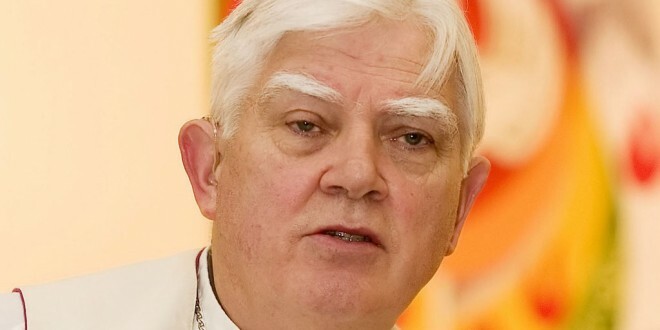 Bishop Emeritus Walsh, who served as Bishop of Killaloe from 1994 to 2010, has spoken out about serious problems being caused by a small number of Travellers who are engaged in feuding, the illegal distribution of drugs and money-lending. In an interview with The Clare Champion following the publication of his new memoir No Crusader, Bishop Walsh believes feuding among Travellers, often linked to the illegal sale and distribution of drugs in the county, is still a major problem. “Some Travellers have told me most of this feuding is linked with the distribution of drugs. There are other aspects as well, including a feud between two families over some slight or hurt and row in relation to a marriage. “A large percentage of the feuding is linked with the purchase and distribution of drugs, which is very tragic,” he said. The former St Flannan’s teacher warned there is a very serious issue in relation to money-lending involving Travellers who are “charging exorbitant interest and using violent means to ensure they get paid for these loans”. He said the interest that is being sought on loans and the pressure being applied to secure repayment is totally unacceptable. “I know the gardaí have a difficult problem in relation to prosecuting Travellers engaging in drug-dealing, as they have to obtain evidence and detect people engaging in this illegal activity. He claimed there has been an increasing level of violence against people, which is being carried out by settled people. Writing in his new book, the bishop notes that a small number of Travellers don’t help the patronising attitude towards the community by their involvement in anti-social behaviour. “Some have been involved in serious inter-Traveller violent clashes. The behaviour of a few has done significant damage to the majority of Travellers, who are trying to live decent lives. “I believe the only hope of curbing this violence has to come from leadership within the Traveller community. “I believe that Travellers are often deeply hurt by the lack of respect we show to them and, as a result, they sometimes respond by not respecting us. Our respect for them is often conditional; and implicit in our thinking is the attitude that we don’t have a problem with Travellers, provided they behave as we expect them to behave. “The tragedy at Carrickmines will hopefully serve to ensure that safety standards at all halting sites be improved. In fairness to Clare County Council, they have done well in this regard over the years, despite the difficulties that always arise when the location of a halting site is designated,” he stated. Bishop Walsh, who has served on Traveller accommodation committees, previously made headlines when he allowed Traveller families to take up an illegal encampment outside his residence in Westbourne. Twelve traveller families established an unofficial temporary halting site on his front lawn in July 2002. Six of these families subsequently moved on, ahead of a deadline set by the bishop to vacate the site by August 15. He imposed the deadline due to the potential health hazard being caused at his residence due to the absence of proper sanitary facilities. He also listed neighbours’ concerns and an impending pilgrimage to Rome as reasons to ask the Travellers to leave. Chief Superintendent John Kerin said gardai haven’t received any complaints of money-lending by members of the Traveller community. 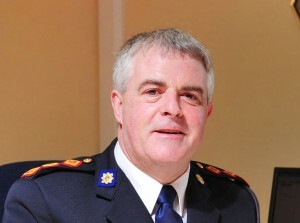 Chief Superintendent John Kerin told The Clare Champion that, like some sections of settled society, there are members of the Travelling community who are involved at a high level in the distribution of drugs, some of whom have been detected in recent times. Superintendent Kerin confirmed garda investigations are ongoing in relation to this type of activity. Commenting on alleged money-lending by Travellers to members of their own community, Superintendent Kerin said gardaí have not received any complaints about this activity. He stressed if any Traveller wishes to make a complaint in confidence about this issue, it would be fully investigated.